Review: Adventurous, hilarious, and amazingly stinky! The only book I’ve read like this is John Bladek’s Roll Up the Streets. The story is about Jake Machet, the boy that always complains, who moves to a town filled with a horrible stink that no one else seems to smell. Who wouldn’t want to read a book about stinky smells and bad meat? I too was skeptical of this book, but it turns out to be a fantastic read! The story begins with Jake Machet in a closet hiding from security guards. He quickly proceeds to catch the reader up on the story so far. When he first came here to this new town, Jake had to meet the richest man and employer in the area. From the beginning Jake doesn’t like him, when he mentions the stink J.P. Rumblegut quickly sneers at him and then walks away. Plus, J.P. gives free candy to all the kids except Jake. Oddly, Jake’s teacher can smell the stink as well. Soon, Jake meets a girl in his class named Sammie who also smells the horrible stink. They both are warned not to eat the corndogs in the cafeteria. The duo become best friends and they find out that the trail of stink leads to J.P. Rumblegut’s lair. Once, in the labyrinth Jake and Sammie find an evil brainwashing corndog plan – a plan to zombify the entire country and turn them into slaves, all working for the notorious J.P. Rumblegut! Will Jake and Sammie ever be able to expose J.P.? Will J.P. Rumblegut ever give Jake a piece of candy? And will Jake ever get out of that darn closet? All answers shall be exposed in this tale of mysterious dolls and bad lunchmeat. This is one of the books I thought that I would hate just judging from the cover and the synopsis. I stood corrected. This was one of the most entertaining books I have read in awhile! 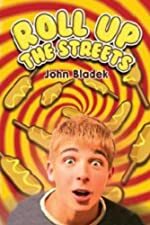 John Bladek did a wonderful job blending mystery and adventure together. I really enjoyed Jake’s stubbornness with certain topics, such as J.P. Rumblegut never giving him candy or his insistence that the dog which bit him was a werewolf and that he would turn into one as well. However, I did not like it when Jake’s teacher gets brainwashed because she was a veteran anti-corndog revolutionist. She’s always very kind, so it seemed unfair. My favorite part in the whole story is when Jake describes the guard dogs: “A wolf-dog as tall as my bike, crouched four feet away. Poisonous slime dripped off its ten-inch fangs. It had burning red eyes, and smoke poured out of its nose with every breath.” This boy sure has an imagination! I recommend this book to children ages nine and up for some mild language and younger readers may be confused by the plot. I give this book four out of five stars. The book sounds an awesome one i loved it. I love books like that I'm for sure going to read it one day!